Abby the Librarian: And I'm off...! Not going to Midwinter? Follow along at home as I tweet the conference. 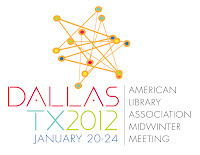 Follow me (abbylibrarian) or check out the official Twitter hashtag, #alamw12. I will also be blogging with short posts at the ALSC Blog, along with several other awesome children's librarians, so be sure to tune in there, as well. Of course, you probably know that the winners of the ALA Youth Media Awards (including Newbery, Caldecott, Coretta Scott King, Schneider Family, Stonewall, Printz, and more) will be announced Monday morning, starting at 7:45am Central Standard Time. There will be a live Webcast and you can follow ALAyma on Twitter for up-to-the-minute winner announcements. 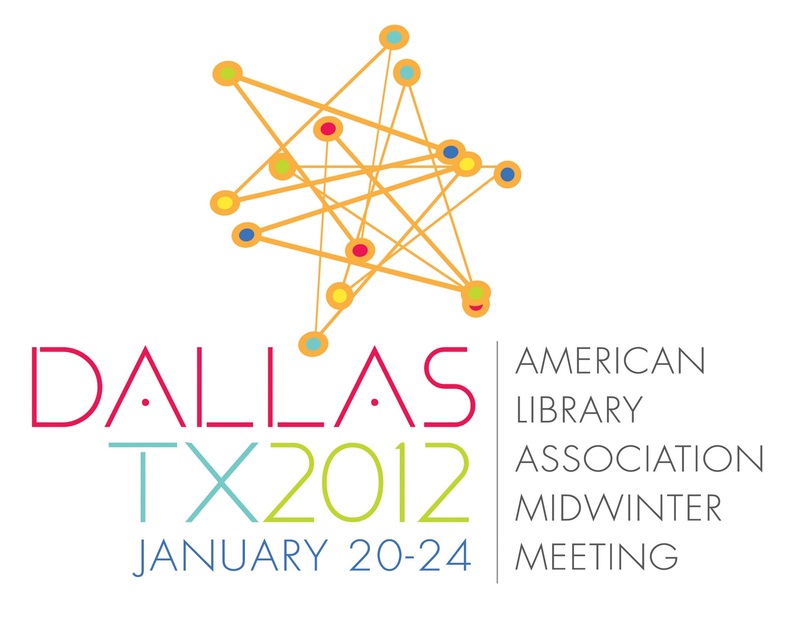 If you're going to Midwinter, I'd love to meet up - feel free to Tweet me! If you're not able to go, hopefully living vicariously through tweets and blog posts will bring you some measure of joy. So. Here I go. My ereader's loaded up for the plane (thanks, NetGalley!) and I'm eagerly anticipating a break from this cold (um... suddenly it is winter here!). See y'all next week!